But lawmakers uphold the governor's veto of a ban on cellphones and other handheld electronics while driving. The two were among 27 vetoes lawmakers considered Wednesday as the state’s longest legislative session on record came to a close. LePage prevailed on 14 vetoes and 13 were overridden. The House sustained the governor’s veto of the ban on use of handheld electronic devices while driving with a 81-54 vote in favor of the override, well short of the two-thirds majority needed. But lawmakers shot down the veto of a bill increasing the legal age for purchasing tobacco products, with the Senate voting 29-5 to override and the House voting 90-44, exceeding the two-thirds threshold by just two votes. Maine joins Hawaii, California, Oregon and New Jersey in raising the age for purchasing cigarettes and other tobacco products from 18 to 21. Mainers who reach age 18 before July 1 next year will be grandfathered and allowed to purchase tobacco. Lawmakers in both the House and Senate made impassioned speeches both for and against the change during the last day of the legislative session. Those opposed to the age increase argued that 18-year-olds can be criminally charged as adults, can vote and can join the military so they should also be allowed to choose whether or not to use tobacco. But supporters of the age increase pointed to studies and other evidence showing that raising the age for tobacco purchases makes it less likely people will start using tobacco. Sen. Brian Langley, R-Ellsworth, who co-sponsored the bill, said people addicted to nicotine can lose their ability to quit smoking. Langley said that was the case with his mother. Rep. Will Tuell, R-East Machias, said there was a lot of discussion about activities that are and aren’t legal until age 21. Tuell said arguments about the right to marry, vote and join the military at 18 would come up again. “We are giving them the argument, cued up right on the tee, right in front of us today,” Tuell said. Fredette, an attorney and officer in the Air National Guard, made the case that 18 was the legal age for many other things associated with adulthood. “You can also join the military, be sent to foreign lands. Maybe you get sent to Afghanistan or Iraq and while you are over there you can have a smoke but you’re 19 years old you come back home to Maine you can’t walk in and buy a pack of cigarettes,” Fredette said. But other veterans in the Legislature said the comparison wasn’t appropriate. Rep. Thomas Longstaff, D-Waterville, a Korean War-era Marine Corps veteran said the decision to join the military isn’t just about individual freedoms but about being part of a team, serving the nation and improving oneself. “They want to serve their country and they want to make better lives for themselves. That’s not the same thing as choosing whether or not to smoke,” Longstaff said. 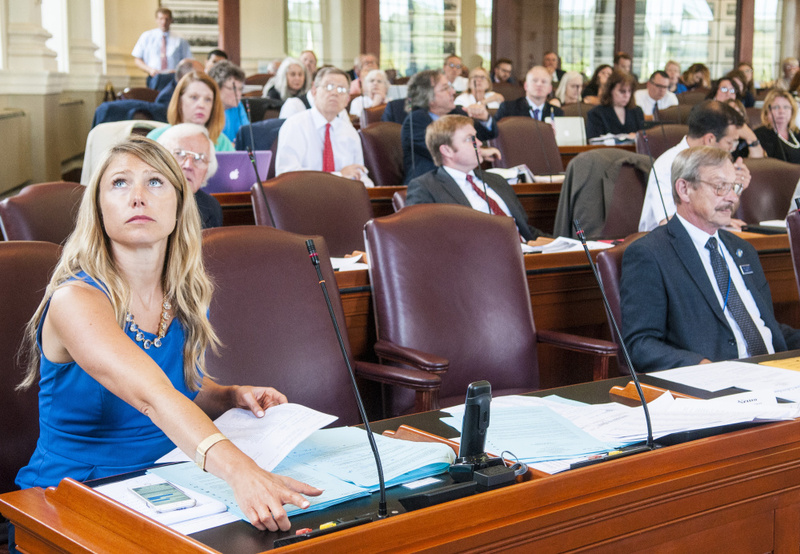 The Legislature also voted to override a veto of a bill requiring the Maine Department of Health and Human Services to fill funded vacancies in the state’s public health nursing system. The Senate overrode the veto with a 29-5 vote, while the House voted 101-34. 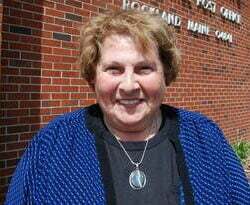 Both chambers also voted to override LePage’s veto of L.D. 952, a bill to increase access to opioid addiction services, especially medication-assisted treatment with methadone. The bill allows the Maine Department of Health and Human Services to increase Maine’s Medicaid reimbursement rate to methadone providers – currently $60, the lowest in the nation – but does not require it. It appears unlikely that the LePage administration would pursue such a rate increase. LePage made clear in his veto message that he is skeptical about methadone treatment. The 14 vetoes not overridden were all sustained by votes in the House of Representatives, where LePage enjoys strong support among minority Republicans. The Republican-controlled Senate voted to override on all 22 of the 27 vetoes it considered Wednesday. The other five had already been sustained by the House. Following adjournment, State House leaders from both parties appeared relieved that the state’s longest regular lawmaking session had finally adjourned. According to records from the Legislative Law Library dating to statehood in 1820, no other regular legislative session had stretched for nine months. The session was also unusual for the number of voter-approved laws – five – the Legislature had to either codify or repeal. One of those, the legalization of recreational marijuana, remains a work in progress as lawmakers on a select committee continue to work on a legal framework for retail marijuana sales. The session was also highlighted by a short state government shutdown in July after lawmakers failed to break an impasse on education funding. 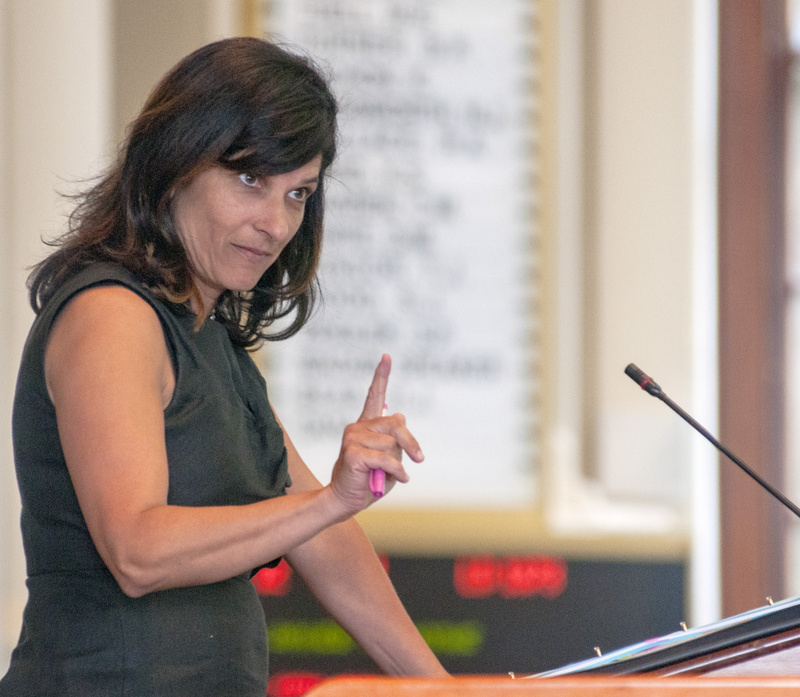 House Speaker Sara Gideon, D-Freeport, said Wednesday she hopes lawmakers and the public focus on some of the positive work achieved in a difficult and often contentious session. Senate President Mike Thibodeau, R-Winterport, also acknowledged the long session and said lawmakers were faced with many challenges in 2017. Thibodeau said eliminating a citizen-passed law that added a 3 percent surcharge to household income over $200,000 was an accomplishment for Republicans, who believed it would have crippled Maine’s small businesses. Thibodeau said lawmakers still have work to do on marijuana legalization and another citizen-passed law that made Maine the first state with a statewide ranked-choice voting system.